IoT Devices need a secure connection, the reason is obvious. It all starts with a secure connection between a device in the field and the Cloud platform. We are interested in how to get our connection secured using the TPM. A TPM is “an international standard for a secure cryptoprocessor”. It can generate private keys and expose the public keys related to them. So it somewhat behaves like a set of certificates but now as a physical device. If somebody tries to physically compromise the chip to retrieve a private key, it should break thus destroying the chip and its content. You can buy TPM chips (eg. for a Raspberry PI) but it’s better to have it already attached to your PC’s motherboard. The chip acts as an identity and you do not want to see it being unplugged. My Advantech UNO 2372G has a TPM 2.0 chip already built in. The same goes for a few laptops I have. Keep in mind that older versions of this security chip (like the TPM 1.2) are not supported by Microsoft. Symmetric keys and certificates are supported by the Azure IoT Hub. We need another service, the Azure Device Provisioning Service to provision a device using the TPM and get access to an IoT Hub of your choice. The Device Provisioning Service acts as a broker between provisioned devices and one or more IoTHubs. Device manufacturer adds the device registration information to the enrollment list in the Azure portal. Device contacts the provisioning service endpoint set at the factory. The device passes the identifying information to the provisioning service to prove its identity. The provisioning service validates the identity of the device by validating the registration ID and key against the enrollment list entry using either a nonce challenge (Trusted Platform Module) or standard X.509 verification (X.509). The provisioning service registers the device with an IoT hub and populates the device’s desired twin state. The IoT hub returns device ID information to the provisioning service. The provisioning service returns the IoT hub connection information to the device. The device can now start sending data directly to the IoT hub. The device connects to IoT hub. The device gets the desired state from its device twin in IoT hub. Note: Keep in mind, this dance can only start after a device is registered at the DPS. There must be a trust relationship between the device (with a TPM) and Device Provisioning Service first. Why should we use a TPM? Every example starts with symmetric keys. Are symmetric keys not enough? All three available ways to secure a device are great but only certificates and a TPM are recommended to be used in production. The problem with symmetric keys is that replacing those keys is hard, you need to change it on the device itself. And you need to transport the new key to the device (on a USB stick?) so you are a bit vulnerable then. When the security token behind the secure connection with an IoT Hub expires, the device itself simple asks for a new token by connecting to the DPS. There is no need for extra work to be done. The DPS has knowledge about one or more IoTHubs. So depending on rules you have set, the DPS routes the device to the right IoT Hub. Imagine a device on a ship going around the world and always connects to the nearest IoTHub for the best connection (lowest lag). You can also program rules yourself using Azure Functions. Note: If you want to make use of a DPS with Azure IoT Edge, only a TPM is supported at this moment (2018Q4). So we need an IoT Edge device like a Raspberry Pi with a TPM on top of it or an industrial PC like the Advantech Uno 2372G with a TPM built in. At this point, the IoT Edge documentation get’s a bit fussy. All examples I found until now are referring to the use of a TPM emulator, not an actual TPM. In this blog, I will show you how you can register using a DPS. 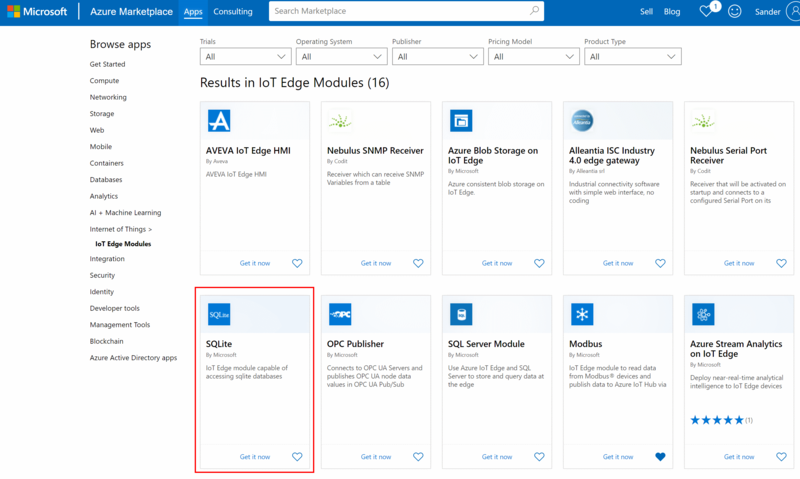 In my previous blog, we learned how to get started with the Azure IoT Edge module named OPC Publisher. 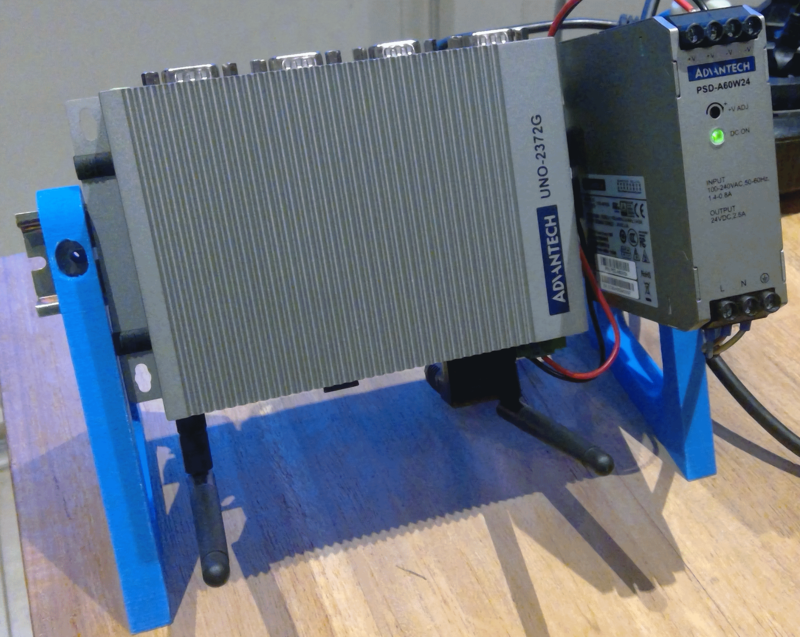 This module makes it possible to extract data from a ‘local’ OPC-UA server and to expose this data to the Azure IoT Hub. The data is sent using the routing feature within Azure IoT Edge so before we sent the data to the cloud, we first can have an insight in the actual data, take actions locally and transform the data. These settings are ‘hardcoded’, the file is on the file system, not in Docker. Can we change these settings remotely, using the cloud?